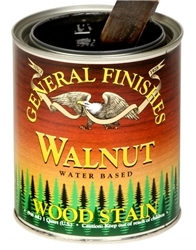 General Finishes EF Series Water Based Stains are a blend of dyes and pigments for optimum results on most species of woods, whether they are open or closed grain. The thicker formula allows controlled penetration, which will reduce blotching on softer woods such as Aspen, Pine and Maple. EF Series stains are easily applied by hand with plenty of open time to allow working into open grained woods such as oak, ash, walnut or mahogany. The stains can be blended together to create custom colors. 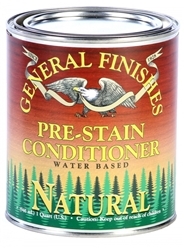 The Natural stain can be used as a reducer to dilute color intensity and it is also used as a stain conditioner to further control blotching on soft woods. They can be topcoated by most waterbased and solvent based finishes. Colors are shown on birch veneers. Colors may not be exact on all monitors. Test stains on scrap prior to application to projects.